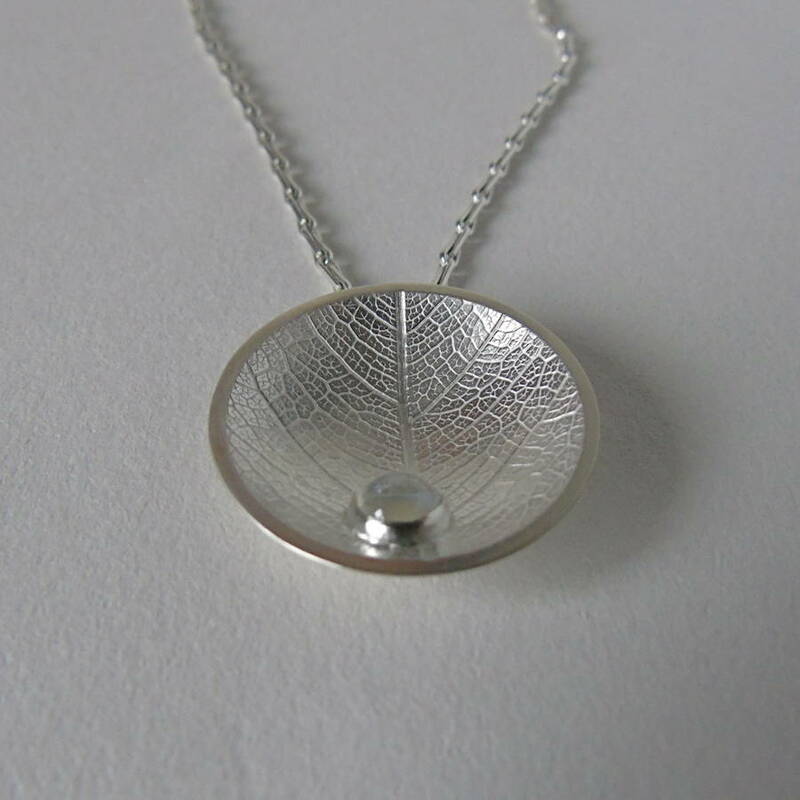 Sterling silver leaf impressed, dewdrop necklace on barleycorn chain. Shown here set in the first two pictures with a rainbow moonstone. This is an absolute timeless classic that is sure to never to go out of fashion. 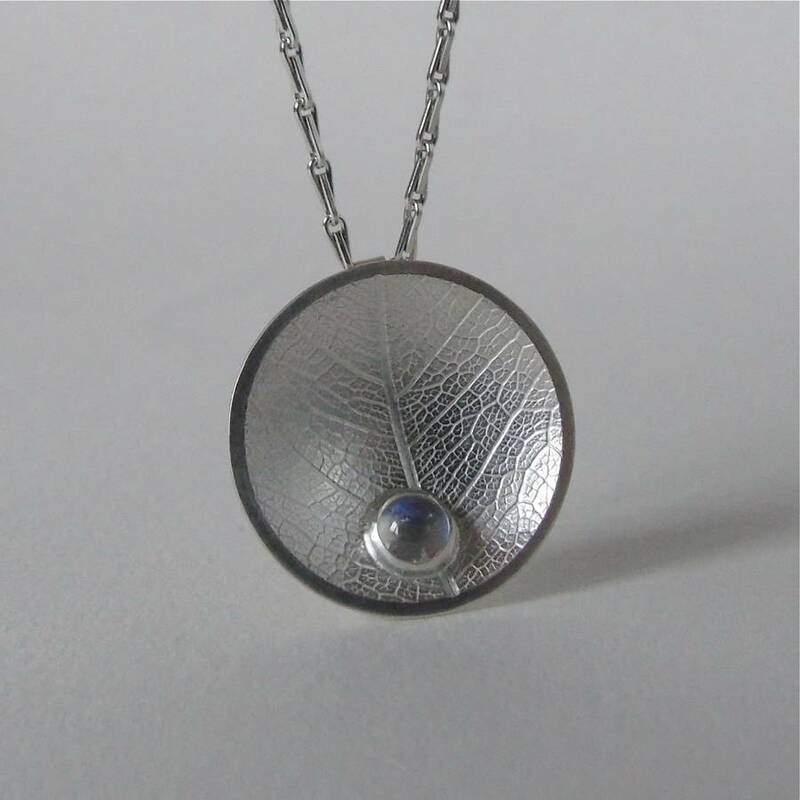 The dewdrop gemstone give it that little bit of sparkle and the individual leaf used to produce the texture makes each piece unique. 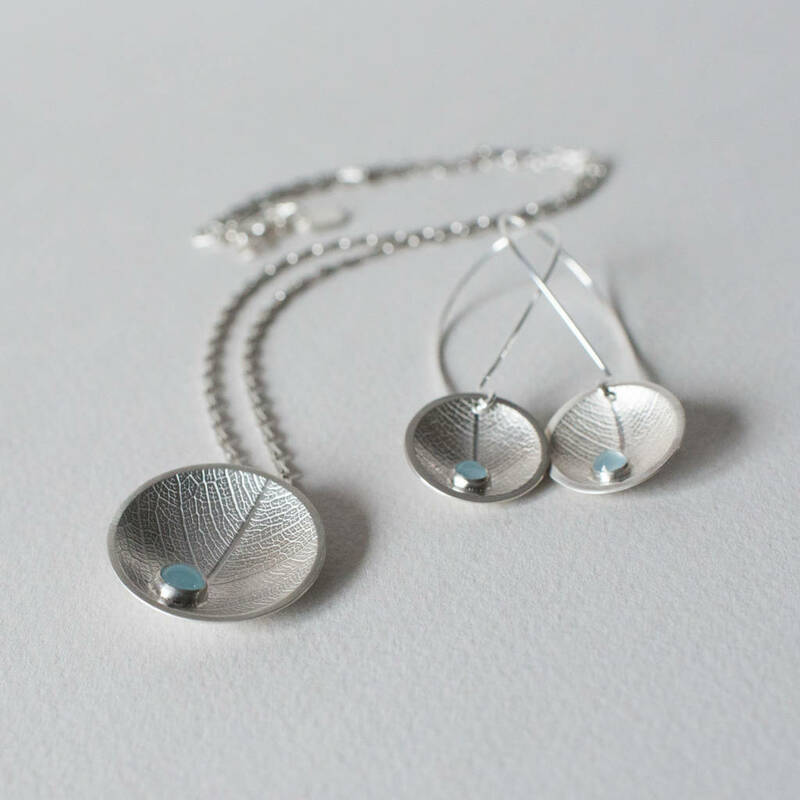 The final picture shows the necklace with the matching Dewdrop Earrings On Kidney Wire and both the necklace and earrings are set with the milky aquamarines. Available on either a 40cm or 45cm silver barleycorn chain. 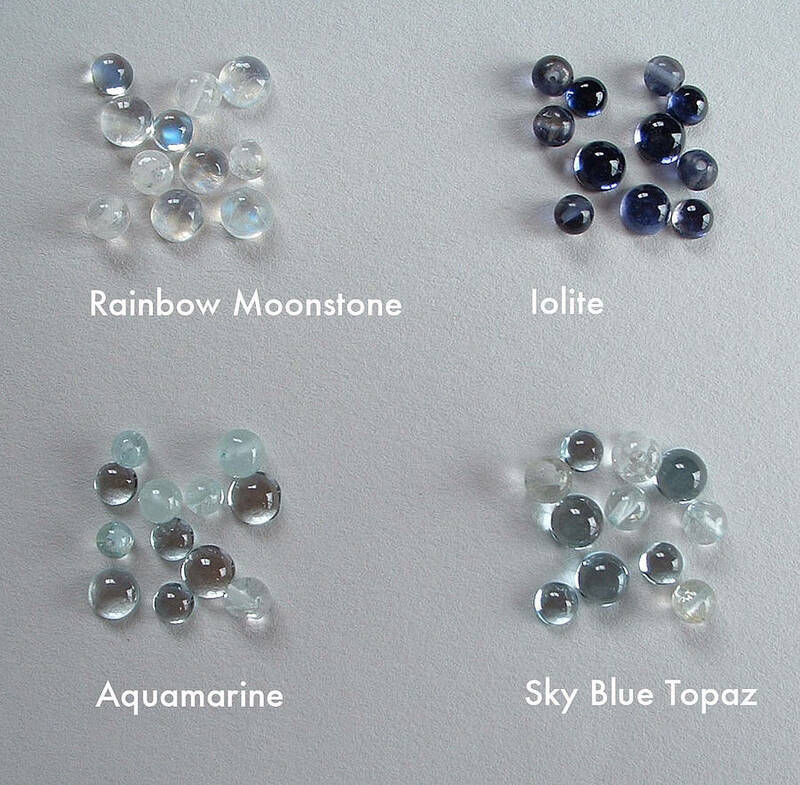 There are five dewdrop gemstones for you to choose from. Please select from the menu. Free gift wrapping available. The little black gift box is wrapped in beautiful handmade paper and tied with an organza ribbon - all ready for you to give. You can choose as the dewdrop either a green peridot, inky indigo iolite, rainbow moonstone (top row left to right of picture 3), bright sky blue topaz or milky (opaque) greeny blue aquamarine (bottom row left to right of picture 3). Sterling silver. Hallmarked. Set with either a rainbow moonstone, inky indigo iolite, milky (opaque) greeny blue aquamarine, green peridot or bright sky blue topaz. 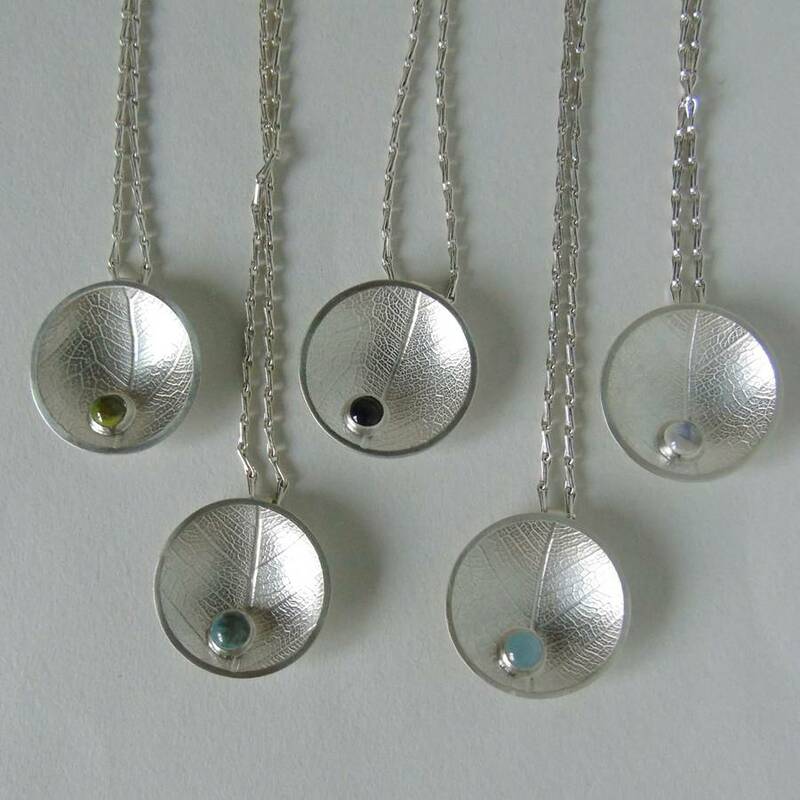 2.5cm round dome pendant bezel set with a 5mm gemstone cabochon. On a 40cm (16 inch) or 45cm (18 inch) barleycorn chain. This product is dispatched to you by Catherine Woodall.